Anti-Semitism continues to prove to be the most adaptive hatred as well as the oldest. Its most recent incarnations have drifted more to the left. This is a relatively recent development, spurred by the closer affection the Christian evangelical community has developed for both Israel and the more conservative part of the political spectrum. A few years ago evangelical leader John Hagee made one of the most impassioned speeches in support of Israel I have ever heard at a national AIPAC meeting. The American evangelical movement has largely (but not totally) moved away from the Jew as an object of scorn or heresy to be saved and converted, to a people to be respected. There was Ann Coulter’s comment about the view of Jews as ‘unperfected Christians’ or Pat Buchanan’s references to a conspiratorial nature of Jews that supposedly got us involved in the war in Iraq. These were both offensive and factually incorrect. Jews and Israeli affiliates went out of their way to avoid any semblance of influence in the run up to the U.S. invasion of Iraq. Ambassador Dore Gold (at that same AIPAC meeting) commented that while they saw Iraq as a problem they felt Iran was the bigger threat. Israel had unilaterally destroyed the Osirik nuclear reactor in Baghdad in 1981. But the transgressions from the right that were anti-Semitic in nature have become increasingly dwarfed by the anti-Semitic outpourings from the left for years. This is hard to explain as mere sympathy for the underdog status of the Palestinians since the 1967 war. Israel is far more socially liberal than its neighbors who seek to destroy it. Israel offers far greater free speech, women’s rights, gay rights, and religious freedom than any of its neighbors. 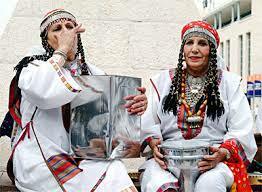 Its contribution to the arts, sciences and commerce dwarfs the rest of the combined Arab world. Yet it remains the only country in the world where threats to its very existence is tolerated in international circles and especially from the floor of the United Nations. Modern anti-Semitism masquerading as anti-Zionism has become much more tolerated on the left. Every Israeli act to defend itself is condemned as disproportionate or inhuman. Just days before her infamous comment Helen Thomas was working from her respected seat in the White House Press Corps and referring to Israel’s ‘massacre’ of innocents on one boat out of several of the Gaza flotilla. She made no comment about the 41 South Korean sailors that were ‘massacred’ weeks earlier intentionally by a North Korean gunboat. I doubt the North Koreans were armed with paintball guns. Her contemptuous dismissal that the Jews should return to Germany and Poland ignores the basic fact that more Israelis came from the Middle East- ejected from the lands they inhabited for thousands of years- than from Europe. But as we continue to observe, such hatreds do not listen to reason or fact, they only seek excuses. 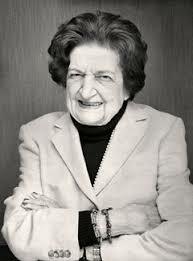 Helen Thomas’ venom for Israel has been typical of many from the media and the left for years. I have often wondered if there was line where even the left would not cross when it came to Israel. Well apparently there was and Helen Thomas found it. Her comment was as offensive as suggesting that black people should be shipped back to Africa. To their credit there was no defense of her comment from the left. In fact they were quick to reject her comments. Statistically there is a significant and important difference between saying that many anti-Semites are liberal and saying that most liberals are anti-Semites. Perhaps we can even thank Helen Thomas for drawing a line that even liberals cannot ignore. While it may be politically fashionable to criticize Israel, at least Jews may now be recognized as having a right to be in the land they have built and defended as a state for over sixty years; but as a homeland for thousands of years. Perhaps in this case an extremist has served to draw a rational line.